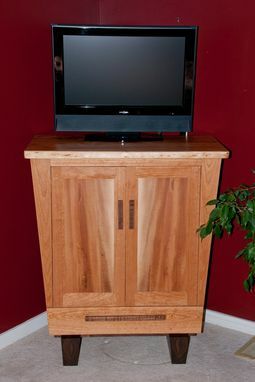 Live Edge Curly Cherry, Walnut And American Lacewood Cabinet. 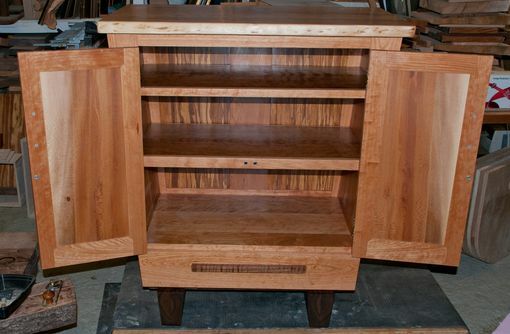 Beautifully figured cherry with a live edge top. 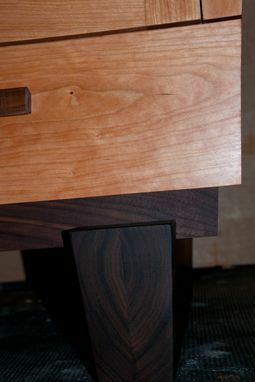 Accented with figured walnut handles and base. 42"h 36"W. Tapered sides for an asian accent. American lacewood panels quartersawn from a huricane Irene fall 200 yr old sycamore. Stunning! 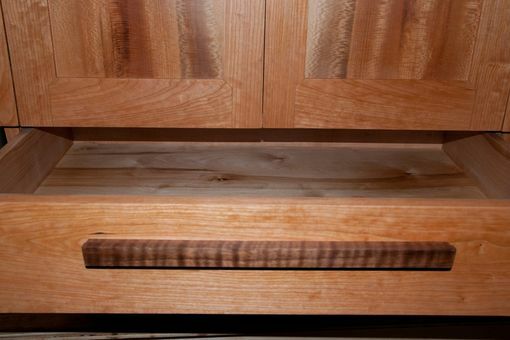 Drawer case is dovetailed quartersawn beech with White oak sliders for a silky smooth action. Hinges are Soss.